I am very pleased to introduce this series of lessons on Chords and Chord Progressions. 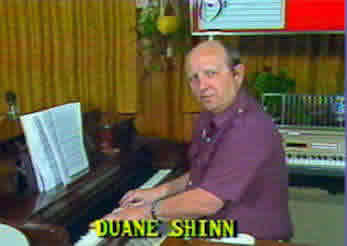 These churd lessons are from Duane Shinn. As the author of over 300 music books, sheet music, cassettes and videos, Duane has been teaching piano for over 30 years. Duane sells lessons via audio CDs and DVDs. He also provides some free lessons via e-mail newsletters. One of these newsletters covers the "Secrets of Exciting Chords & Chord Progressions." If you subscribe to this newsletter, you receive a new lesson via e-mail every single week for 39 weeks! A $200. value -- FREE! I contacted Duane about incorporating his lessons into the PSR Tutorial because chords are such a crucial element in learning to master an arranger keyboard. He agreed and now you can enjoy those lessons right here -- still quite free. If you work through these lessons, you will learn all you need to know about chords. And, if you find these lessons useful, you can always go to Duane's site and try out some of his videos. The 39 lessons in the series are shown in the home page for Chord Secrets (click "Previous" above). From that list of Lesson Contents, you can click on any week and jump right to that week's lesson. Alternatively, the "Previous" and "Next" links at the top of each page take you to the previous week's (or next week's) lesson. Note also that clicking on the series title ("Secrets of Chords and Chord Progressions!" ) will take you to the course contents page. Chords are covered in the first 19 weeks and chord progressions in the next 20 weeks. Below is Duane's welcome note to the course. Over the next 39 weeks you are going to learn a TON of amazing secrets, insights, techniques, tips, riffs, runs, and more. Chords galore -- from triads to 13ths! How to predict which chord comes next!